Traditional style meets function for the modern world in this sofa table. 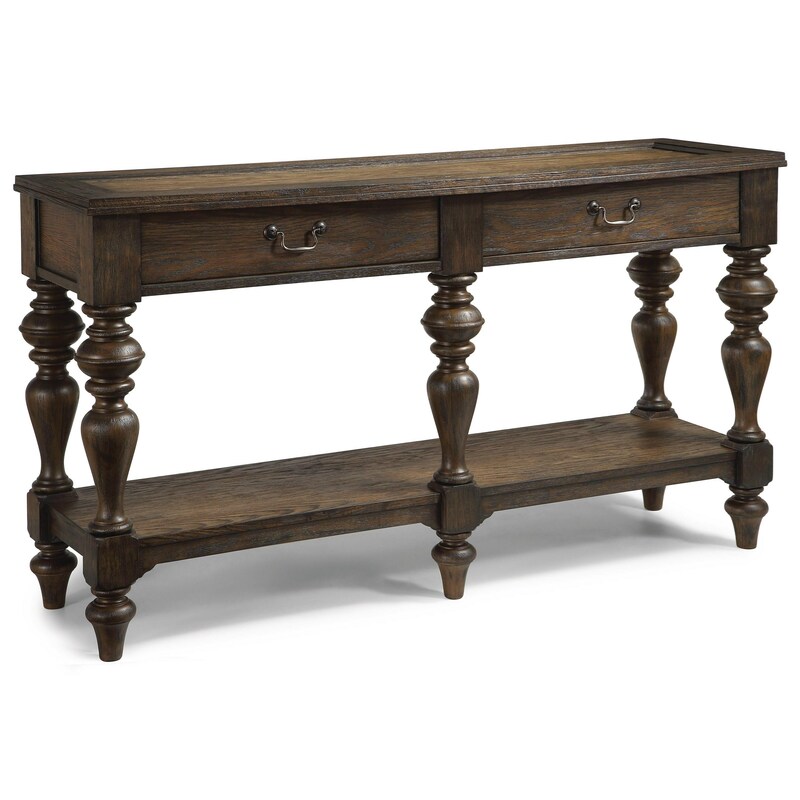 The console table will bring a pair of drawers and plenty of display space to your living room via a spacious table top and an open shelf attached to the elegant turned legs. 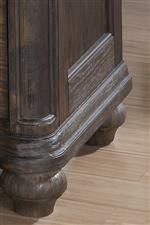 A weathered two tone oak finish creates a one of a kind look perfect for your living room. The Bordeaux Traditional Sofa Table with 2 Drawers by Flexsteel Wynwood Collection at Zak's Home in the Tri-Cities, Johnson City, Tennessee area. Product availability may vary. Contact us for the most current availability on this product.